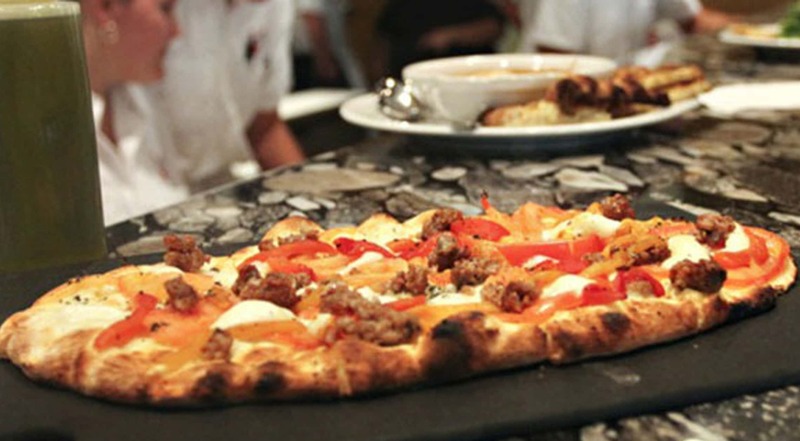 Vinto offers wood fired pizza and fresh seasonal Italian cooking with serious attention and detail throughout. It captures the efficiency of a fast casual restaurant with an inspired play on modern Italian style. Italian fare at rarely seen prices on Main Street efficiently served in a bustling atmosphere makes for a delectably affordable, casual night out in Historic Park City thanks to the newly opened Vinto. Vinto's menu features an array of Italian-style specialties and includes appetizers, salads, piadinas, pasta and several gourmet pizzas. All of Vinto's pasta and gourmet pizza options can be made Gluten-Free, and no dish is priced over $12! Standout specialty items include our House-Made Meatballs, Italiana Chopped Salad, Tuttabella Pizza (featuring House-Made sausage and roasted red and yellow peppers), and a selection of Gelati, Sorbetti, and Dessert Specials; all House-Made by our award winning Pastry Chef, Amber Billingsley. Vinto hosts a full bar for our dining patrons, inclusive of creative wine, beer, liquor, and specialty cocktails!